A tweet from Johnny Allan yesterday morning meant gulls were going to be the order of the day. 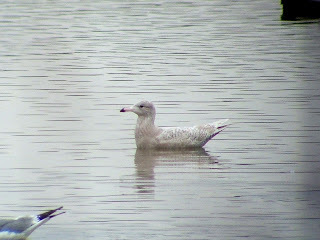 1w Glaucous Gull on main lake. With work on the quiet side, a first trip of the year to Beddington was well overdue. 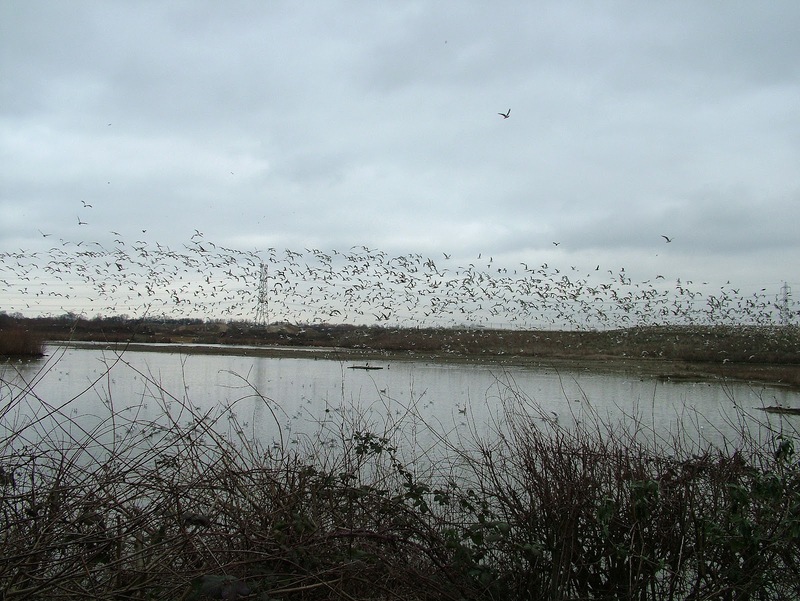 Beddington – part birding paradise, part refuse tip – is famous for its gulls, especially during the winter months. 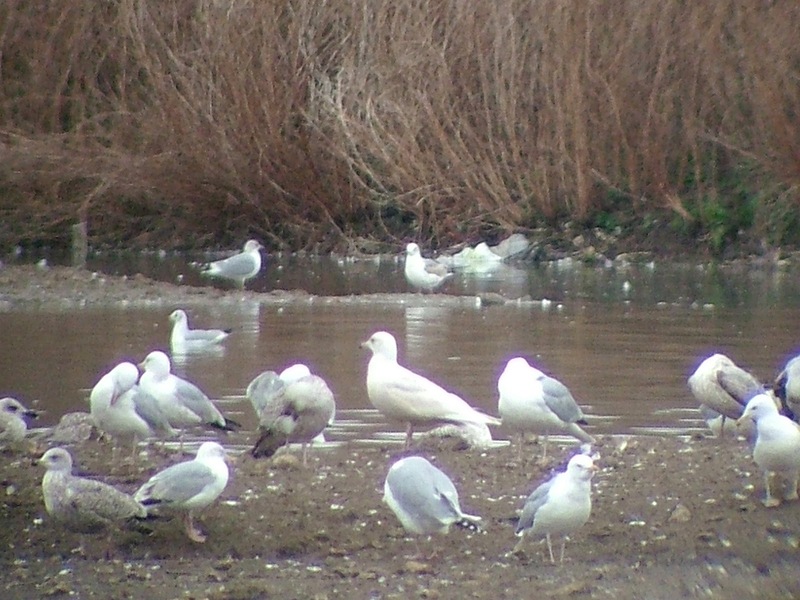 This winter has been exceptional, with up to five Iceland Gulls, plus a number of Mediterranean Gulls, a few Caspians and the odd Yellow-legged Gull regularly seen at this exceptional Surrey site. 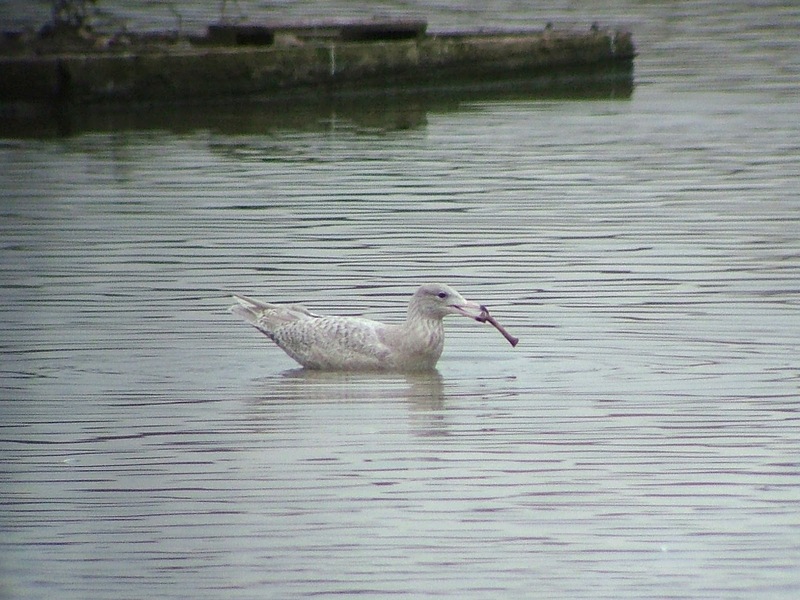 Then, to add to the list, on Wednesday a Glaucous Gull arrived. I don't normally get that excited by gulls but my attitude has recently changed. This is part due because I found a Med Gull and an Iceland Gull (I now know it definitely was one) on my local patch at Holmethorpe this past week. 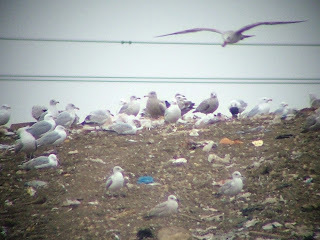 With so many gulls at Holmethorpe it seemed a bit daft not to search through them just in case something interesting grabbed my attention. The trouble with gulls is they go through so many stages of moult during their early years before they are recognisable as the species in question. Throw in the subtleties between the big gull species and you're in for a bit of a headache. 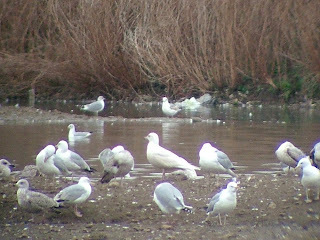 I had to get to Beddington before the end of the winter, just to garner more gull birding experience. With all the 'white-wingers' I wanted to see showing well on and off during the morning, I was hopeful it would be a good visit. When I first arrived, I wasn't so confident. 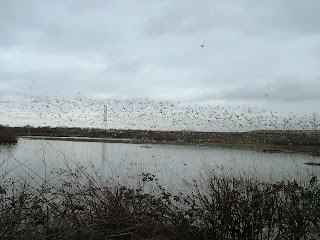 I could only stay for about an hour, and there must have been about 10,000 gulls on site – the place was teeming with them – so it was going to be like looking for a needle in a haystack. With the remarkable help of Johnny Allan and Frankie, however, I got to see what I came for. 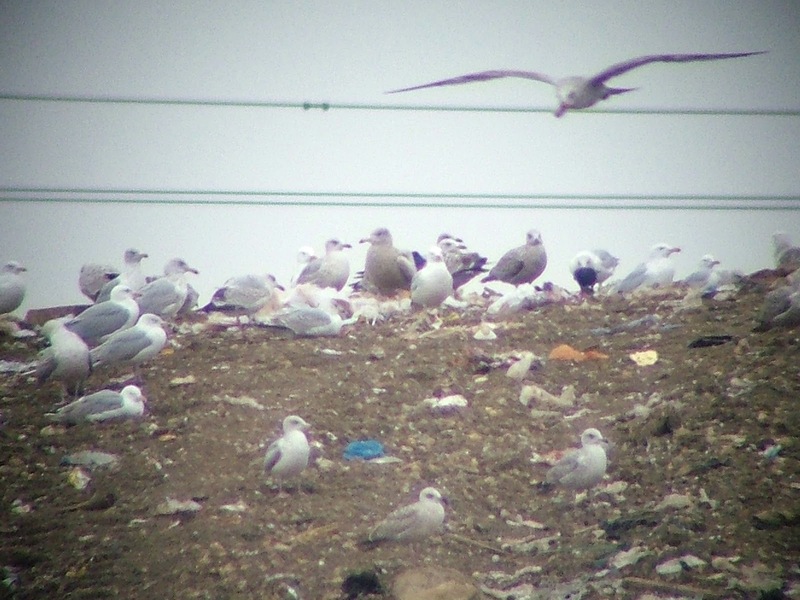 The five Iceland Gulls that had been seen earlier in the morning were not apparent at first, but Frankie, amazingly, found the first winter Glaucous Gull (105) on the tip in amongst the throng of black, white and grey birds. I don't know how he did it – one gull in amongst a sea of gulls. I have to admit, though, that once I found it, it stood out a mile. It was a big brute of a bird, squarer and bulkier in shape and, at a distance, very pale grey in colour. 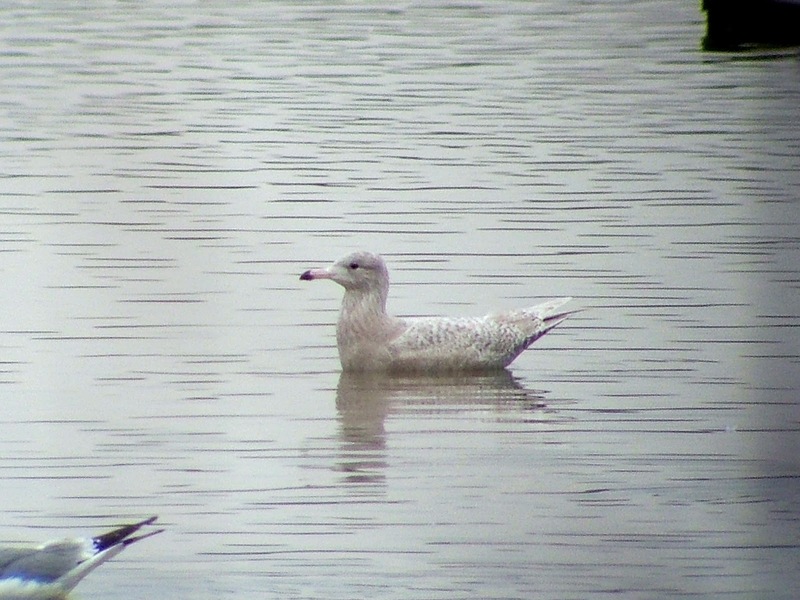 We then focused on the main lake and I managed to find one of the Iceland Gulls, a first-winter almost totally white gull, known by the Beddington group as 'New Whitey'. At the same time, the group of birders also on site found the Kumlien's Gull, to the left of the first-winter bird, with its back facing us. 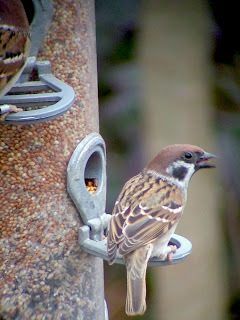 I viewed it through Johnny's scope and then soon after the birds all took off. The first-winter Iceland Gull was easy to see amongst this cloud of gulls and eventually most of the birds landed again. It was then Johnny spotted the handsome Glaucous Gull was on the water right in front of us. Fantastic. What a bruiser this fella was. An impressive bird to look at, we got great views of it as it toyed with a chicken leg, which it must have found on its recent visit to the tip. 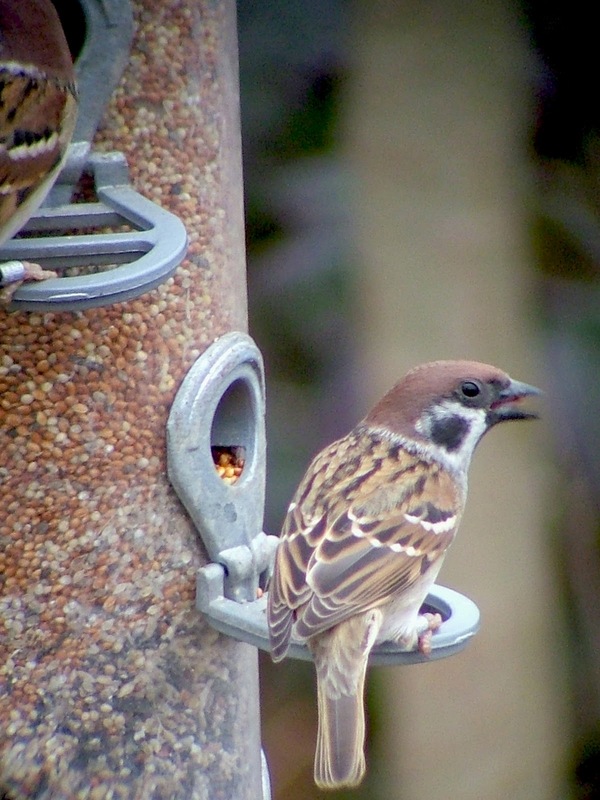 I only had limited time, but with the feeder close by I also had excellent views of the Beddington Tree Sparrows (106) and about ten Reed Bunting that were migrating around the seed. All in all, a cracking session at Beddington with a species of bird that, up until now, I hadn't really got to grips with. From now on, I'm ready to focus on the local patch to see what I can find.